Technology is a wonderful thing but we are seldom comfortable with the tech lingo that is used. NET NEUTRALITY! The air smells of this term, the social media sites are flooded with the posts related to this, the news channels are also broadcasting about this. But how many of us really know what this actually means? In fact, even if we know, we do not completely understand the implications of this. Or do we? Heard about “Open Internet”? Well, yes, Net neutrality is just an alias for open internet. Open Internet stands for the same speeds for data exchange for everyone on the internet. Every system is treated equally and given the same preference as everyone else on the internet. It is like standing in a queue waiting for your turn. Now, let’s move on to US. Comcast and Verizon are the leading ISPs (Internet Service Provider) of the US. They have introduced a bill in the US parliament for breaking the internet into two parts- fast lane and slow lane, which means those websites that are willing to pay extra for high speed internet will transmit data on high speed servers while all the others will be left in the cold on the slow servers. It concerns us because the websites may start asking for money for the fast lanes from us and we may end up giving huge bills for the free internet. Secondly, this method will destroy all the startups that are making business on the internet as they won’t be in a position to pay huge prices for the fast lanes and so they won’t attract as many users as the players of fast lanes will. Eventually they would end up collapsing. It will affect all those content creators who make money out of making content for people on the internet. Let’s take the example of Youtube, it’s a very powerful video streaming website where people post content and make money by the number of views they get for the videos. There are a lot of tutorials on Youtube for everything and everyday use. If Youtube does not subscribe to the fast lanes, then they will end up having less views for the videos as the buffering speed will be slower than the usual and the people who watch them might end up searching for some other source. And so the content providers who work hard to provide content for us, for free, will be broke. Fortunately, Google, Facebook, Netflix, Amazon signed the letter for net neutrality. 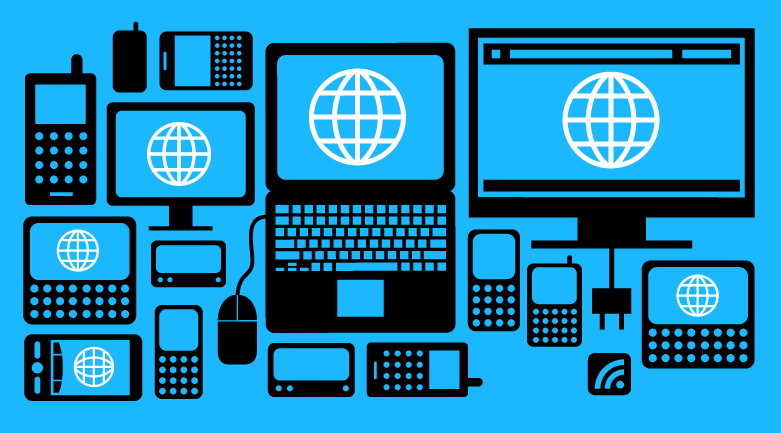 The Internet is free and not broken in its current state and these ISPs are trying to fix it. But how can you fix something that is not broken! The idea of treating all the content of internet as equal, is more like a dream now because the Federal Communications Commission (US) introduced a legislative proposal in May, 2014 that aims in breaking net neutrality and developing a two tier system (the one in which rich get faster internet while the poor get slower internet). The proposed rules would give the power to the ISPs to charge technology companies for access of data to the faster lanes. The implementation of FCC rules would erode the business model of the startup companies as they would not have financial budget to pay for fast lanes. Also the cost of internet usage, for the customers, would touch the sky. How people in US responded? When the FCC chairman, Tom Wheeler released the plan of two tier system, there was massive protest from the people. Several consumer groups attacked the proposal claiming that this would lead to increase in the cost and also hurt the small start ups. The outcry of millions was evident when British Comedian John Oliver explained about this whole issue on his HBO show (Follow the link- https://www.youtube.com/watch?v=fpbOEoRrHyU). He requested the viewers to argue against these laws stressing upon the counter effect they would have on net neutrality. The FCC website went offline for one day, after Oliver’s show was aired, due to overload of traffic. The Big Fight (Indian Scenario)! Till date, the telecom companies have earned huge profits owing to the advancement from virtually nothing to 800 million mobile phone users. All this time the major focus of these companies was to sell voice minutes and earn the profit. By being carriers for the callers they made huge empires out of it. But by the introduction of low cost smartphones, more and more people have started to use smartphones and surf the web a lot then they used to do. Now, they were able to use Skype, Youtube, Facebook, Whatsapp on their phones with the push of a button. This led to decrease in the traditional phone calls as people started to use internet services to contact with people. People started using VOIP (Voice Over Internet Protocol to connect with other companies and provide calls over internet. And since the cost of VOIP is nothing as compared to the conventional cost of the voice calls, these companies played in money. But now, owing to the likes of Whatsapp, skype, hangouts the consumers can get access to similar voice calls delivered at the standard price of internet. This has made the telcos behave like a cat on hot bricks. They are now nervous and scared, for their economy is at stake and their margins are diminishing. Therefore, to get the ball back in their court, the telcos are trying to play the same game which FCC played in the US and wanting to charge whatever they want, whenever they want and however they want. For an instance, if Airtel does not like Youtube, it can launch its own app for free and place a price tag (quite expensive one) on Youtube. Telcos are trying to put a price on every media content (images, music, videos) on the internet. One of the telcos, Reliance has already steeped further in this event and launched the scheme of Internet.org, where Bing is accessible for free while the users are charged for accessing Google. Similarly, BabaJobs is freely accessible while Naukri.com has become paid. According to Relaiance, this new scheme is a “solution for poor nations”. But what actually they think (beneath the façade) is “solution to make the nations poor”. Unlike India, the US government has strongly revolted against the two tier system and as for now, the FCC regulations have been restricted to being on papers. But in India, the telcos have managed one person to write a consultation paper on the behalf of TRAI (Telecom Regulatory Authority of India), asking for the public opinion on allowing the telcos to break the system of net neutrality. (To read the complete consultation paper, follow this link:http://www.trai.gov.in/WriteReaddata/ConsultationPaper/Document/OTT-CP27032015.pdf). The question is why should we give extra money for the same free internet that we use today. What happens if we let this pass? 1. Worst internet experience ever. Just like Facebook and Reliance are offering Facebook for free while Twitter is being charged, or Bing is for free while Google is being charged, the use of internet at our own will be put to a dead end. Being the consumers, we should have the right to choose whichever social network site we want and not to let some rapacious telecom company to decide for us. 2. Higher bills! And this would definitely be troublesome for all the Indians. There was a time (it still is) when we were being charged for bandwidth. But this time will end soon if no proper action is taken against the illogical ruling of the telcos. Nobody has a problem to pay for the bandwidth (we already do that now). But to pay for the site that you want to open or use, is illogical and total breach of internet users’ rights. There are many more implications if we let TRAI win. But listing them here would be a total waste of my as well as your time because there is much more we can do to help save our internet. TRAI, along with telcos and the COAI (Cellular Association of India) have formed a solid partnership and they are trying to push through the anti net neutrality in India. The only thing that we all can do to stop this is to ensure that net neutrality prevails. There is a list of 20 long questions, which we need to answer and send in latest by 24th April, 2015. It is high time that we, Indians, start taking action against FCC regulations and save net neutrality. **For those who are now aware of this big fight, my request to you is to do you bit, to stop this from happening by following either of the two options. **For those who are still confused as to what net neutrality is all about, my request to you is to forward this post to your friends, family members or colleagues so that they can do their bit and ensure net neutrality. Thank you for sparing your time and reading along. Very informative. Well done Enakshi. Its a LOOT on part of companies.. Income from Tariffs, data packs, phone bills seems to be insufficient for companies to fill their BIG POCKETS...! !